My initial listen to the sound clips that were available on iTunes for this release did not impress me and so when the actual cd arrived, I was highly skeptical and was expecting the worst. The numerous lineup changes also contributed to the apprehension. I was ready to skewer this thing, but I just can't. It's actually pretty good. Let me say that this is a pretty decent rock album. Is it QUEENSRYCHE? No, it isn't, though a couple of songs on here could have made good ones, like the opening track, "Cold", which you can check out on You Tube, and "In The Hands Of God", which reminds me of "Gonna Get Close To You", from 1986's Rage For Order. This CD is way better than any of Geoff's prior solo stuff. In fact, THIS is the kind of stuff he should have been releasing as solo material all along! It's got a decent, heavy vibe to it and it's actually ROCK. In addition to the songs I have already mentioned, other notable tracks include "Everything", "Slave" and "Fallen". Now, that doesn't mean that this CD is perfect. On the contrary, I have a couple of bones to pick with it. First, the most obivous thing is the cover, which has been already battered all over the place for its not-so-subliminal message. 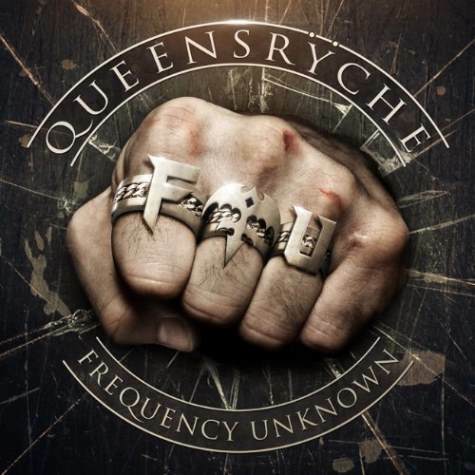 BUT, if the circumstances were different than they are, this would probably be a pretty cool QUEENSRYCHE album cover, but alas, the circumstances are the way they are, so he gets points off for that. In addition, several songs on the CD have lyrical content that could easily be construed as further messages to his former bandmates, like in the song "Give It To You", where he says "Remember yesterday, when I whispered in your ear, how do you like me so far?". The most obvious of these songs is "Dare". Like the album cover, it's almost too in-your-face. And dude, what is up with that xylophone??? It appears for roughly 10-15 seconds and serves absolutely no purpose in the overall structure of the song. It should have been left out completely. Last, and certainly not least, is the glaring blunder of the re-recorded classics. The point behind doing a re-recorded version of anything is to improve on the original. I personally do not believe that the ones he chose could possibly be improved on. Maybe there is a way, but re-recording them is not one of them, at least not how it was done here. The sound mix on these is terrible, even on the remixed version I have. It sounds as though I'm listening to a QUEENSRYCHE tribute band. Geoff sounds like he's singing from the bottom of a well and the background vocals in "I Don't Believe In Love" and "Jet City Woman" sound like he gathered up everyone who contributed to this project to sing. In summary, this is tatamount to musical heresy here. "In The Hands Of God"